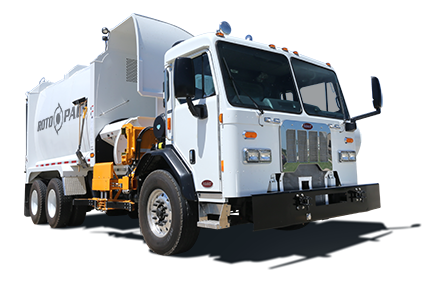 When New Way saw that there was going to be a market shift to automated garbage trucks, they sent their engineers across the country to research everything that was available. After seeing the good and the bad the market had to offer, the engineers came back to New Way to design custom, innovative automated side loaders that are built for the long haul. 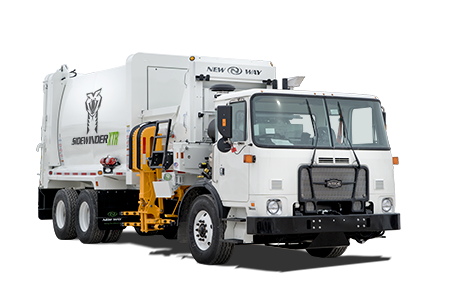 New Way offers both the Sidewinder XTR Automated Side Loader and the ROTO PAC, a revolutionary refuse truck built for both organics and MSW collection. Each of these side load garbage trucks can be operated by a single driver, increasing crew efficiency. Add in large body capacities and the strongest arm in the industry, and you have the most rugged and efficient automated side loaders anywhere. Strongest arm in the industry. First combination organics/MSW in North America.